The rangelands and grasslands of the world cover 30 – 40% of the earth’s land surface on which over one billion people depend for their livelihoods. Rangelands are home to the world’s poorest and most marginalized people. The rangelands exist on all continents of the world across different agro-ecological zones, throughout the tropics (e.g. Savanna) and the temperate zones (e.g. Steppe). Grassland ecosystems are usually arid to semi-arid, characterized by permanent or at least seasonal water limitations. Observations and scenario calculations for these climatic zones (IPCC 2007, Bates et al. 2008, Easterling et al. 2000) predict increased variability of precipitation resulting in a higher number climatic risks like floods and prolonged drought periods. Increased climatic risks and land use changes erodes the resilience of these systems. The pressure on natural rangelands is constantly increasing through population growth and associated encroachment of agriculture and increasing demand for food and raw materials. Thus, rangelands are increasingly seen as hot spots of contrasting socio-economic interests. Grasslands are widely used and often managed by pastoral livestock keepers to gain their livelihoods. Pastoral systems are natural resource management strategies which support 100-200 million pastoral people worldwide. Beyond the immediate pastoral livelihoods the systems provide a wide range of services and products of national and global value including biodiversity, carbon sequestration, wildlife and tourism as well as raw materials (Hatfield and Davies 2006). The implications of climate change induced development of adaptation mechanisms for different rangelands/natural grasslands are still unclear. Most of our knowledge about the vulnerability of rangelands to climate change is derived from studies on North-American natural grasslands (Knapp et al. 2002, Frank 2006, Heisler-White et al. 2008), which represent only a small part of the world’s grasslands. The rangeland systems across different continents face a multitude of common problems. However, site specific or regional components such as the respective ecosystem’s grazing history (Adler et al. 2005) are also important and, thus, require system-specific approaches. The rangelands and grassland systems under study on the different continents have similarities and also differences with regard to factors that determine their management and use. To date, little is known about the parallelism or divergence of rangelands’ vulnerability, the relative importance of individual factors, the strategies used by pastoralists to buffer variability, and the comparative advantage of different scientific approaches in a cross-continental comparison. The African rangelands are home to diverse cultures and traditions. They make up 43 per cent of Africa’s inhabited surface and are home to 268 million people and 40 per cent of the continent’s population. An estimated 50 million pastoralists and up to 200 million agro-pastoralists live in drylands from West to East Africa (Helen de Jode, 2009). Africa’s rangelands comprise mostly the woodlands/shrublands and grasslands land cover classes (Hoffman and Vogel, 2008). In the rangelands of East Africa, annuals and dwarf shrubs account for a greater proportion than perennial grasses of the diet of the nomadic pastoralists’ livestock. (Oba et. al., 2000). Pastoralists are the central custodians of the rangelands and through their way of life and culture, have been the managers of resources in these drylands. The pastoral systems have been characterized by high mobility and dynamism as well as complex information systems and high dependency on local knowledge (Convention on Biological Diversity-CBD, 2010) to manage a highly diverse and complex environment, given the highly spatial and temporal variability of the resources in the drylands. With the current demographic trends, these production systems will continue to experience increasing population and settlements as population growth demands more space that seems only available in the drylands. In addition, rangelands represent diverse ecosystems, natural resources, people/societies and multiple uses and functions and are therefore vital for the ecological, environmental, economic and social functions they play. Rangelands support life for those living within them and also for those living outside them. Key economic activities supported by rangelands include livestock production, dryland agriculture, wildlife conservation and related activities and to a lesser extent mining. In sub-Saharan Africa alone, 25 million pastoralists and 240 million agro-pastoralists depend on livestock as their primary source of income. The region holds a 12.5 per cent share of the world’s meat production, a large part of which originates from drylands (FAO, 2009). In sub-Saharan Africa about 16 per cent of the population relies on pastoralism which contributes significantly to the Gross Domestic Product (GDP) of many nations (CBD, 2010). In terms of ecological significance rangeland vegetation helps protect often fragile soil profiles, store carbon, provide habitat for wild fauna and flora, and acts as catchments or watersheds for large river systems (Lund, 2007). It is estimated that rangelands store up to 30 per cent of the world’s soil carbon in addition to the substantial amount of above-ground carbon stored in trees, bushes, shrubs and grasses (FAO, 2009). Drylands are also vital in water regulation and provision and host a diverse range of perennial, seasonal or ephemeral wetlands (Tooth and McCarthy, 2007). In Kenya, rangelands occupy over 80% of the country and host about 10 million people. These areas have the lowest development indicators and the highest incidence of poverty. Over 60% of the rangelands inhabitants live below the poverty line (national average – 48%), subsisting on one dollar per day. The ratio of livestock to human population continues to decline; droughts, conflicts and household food insecurity are common features. The rangelands host about 70% of the national livestock population in Kenya and are also home to over 90% of wild game that supports the tourism industry. Pastoralism provides direct employment and livelihood to over three million Kenyans. However, Kenya’s rangelands continue to experience enormous vagaries of weather associated to climatic changes (NCCRS 2010). Recent research studies relating to climate downscaling using regional models under both RCP4.5 and 8.5 climate change scenarios (2030, 2050) on three rangeland Counties namely Narok (specifically Trans-mara), Tana River (specifically Tana Delta) and Garissa (specifically Ijara) reveals that although some areas indicate positive trends in precipitation, the subsequent gains will be lost with the increasing trends in temperature, projected at 3.50C and 40C over Trans-mara and coastal areas, respectively (Ketiem et.al. 2015). Prolonged droughts and changes in temperatures will, therefore, erode livelihood opportunities and community resilience, leading to loss of lives and livelihoods, increased resource conflicts, and may undermine regional developments. In fact, the local market for beef considerably relies on cattle imports from Ethiopia, Somalia, Sudan and Tanzania (up to 30%) due to inadequate local production. The future of rangelands in Kenya need not be painted so bleak. These areas have enormous resources that can be harnessed not only to sustain themselves but also to contribute to national economic development. 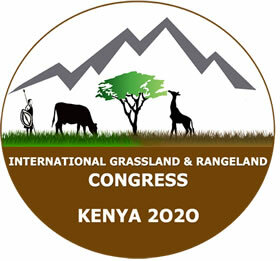 The vulnerability of the economy of the Kenyan rangelands is further exacerbated by existing developmental changes of endemic poverty, complex governance and institutional dimensions, limited access to capital including markets, inadequate infrastructural and technological development, ecosystem degradation and complex natural disasters (NCCRS 2010; NCCAP 2013).